First, the dragonfly swarm activity (at least based on the reports that I get from mostly English-speaking people) seems to be heaviest over Central America recently. A few weeks after the end of the US and Canadian seasons, I started to get reports from Central America. I can’t say for sure that the swarms that left the US mainland in October ended up in Belize, the Yucatan Peninsula, and Honduras a few weeks later, but… There might be a connection between the two. Mark recapture studies or radio tracker studies would be necessary to confirm this, but there are published accounts of dragonflies flying out over the water in the southern US during the migration season and other scientists have hypothesized that they are likely to end up somewhere in Central America. It will be interesting to see if this pattern of US migration followed by a surge in dragonfly activity in Central America continues over the next few years as this is the second year I’ve observed the pattern. Dare I hope that my data might even suggest possible places where these dragonflies are overwintering? That would be incredibly exciting! Dragonfly swarm in Costa Rica. Photo by David Alexander. Sunset. Beach. Ocean. Dragonflies! Oh, I wish I’d been able to see this one! Look how beautiful it was! (Granted, if I had been there I would have spent the entire three days making scientific observations, but I’m an entomologist with an interest in natural history and behavior. That’s what we do!) I love these photos beyond their aesthetic appeal though. For one, the dragonflies are so much more distinct than in most of the photos I’ve seen of this behavior – or even taken myself! This is an incredibly difficult behavior to capture photographically because there is so much movement and so much depth. 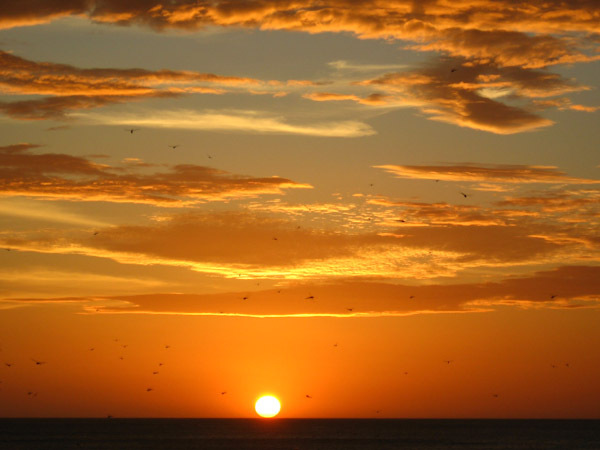 You can only see silhouettes in these photos, but you can tell without a doubt that they’re dragonflies. I also like that the photos are taken at sunset as that is the time of day this behavior is most commonly observed. Most of the photos people have sent me understandably show daytime swarms. 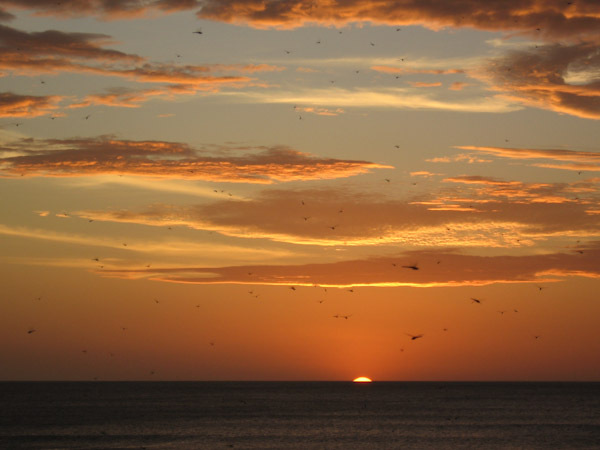 Sunset swarms are much, much more common though, so it’s nice to see a few shots of a swarm in a more typical setting. These photos are thus an excellent representation of the behavior. Exciting! The Australian swarming season should be starting up soon too. Last year, I got several reports in February and March, so I’m hoping to get a repeat of that. Granted, there was a ton of flooding in Australia last year, which may have led to the surge in dragonflies reported in many Australian news reports (yes, I watch Australian news reports about dragonflies. Doesn’t everyone?) as well as the boom in swarming activity/reports. It’s going to be interesting to see what happens this year! It’s exciting to see data flow in even during the northern hemisphere’s winter. Reminds me that the next US dragonfly swarming season is just 5 months away. I can’t wait to see what happens next! I love that you keep up with Australian news just for the dragonfly swarms! As long as a swarm is identified by seeing dragonflies everywhere you look, we had one in our backyard one day last week. I love them and will definitely pay more attention to the details next time I see them in large numbers! Sounds like you saw a dragonfly swarm! I define them as a group of dragonflies (usually 10 or more, but the number is flexible) that is either flying together over a very specific area away from water (static swarm) or flying together in a single direction (migratory swarm). If that’s what you saw, I’d love to get a report from you! The link for the report form is up at the top of the page here – hover over The Dragonfly Swarm Project and then click Report A Dragonfly Swarm. Then you just add in the information for your swarm. No pressure though! It was a static swarm but as for the details, I can’t even remember which day it was! Sorry! I will fill in the form next time though, we often get them here at dusk at this time of year. That’s okay! But I would LOVE to get a report from you in the future if you happen to think of it. I was entertained by a small swarm tonight so I raced inside and turned on the computer to share it, report filled in! Thank you!!! I appreciate it. This is very cool. I LOVE that you’re able to keep working on this project and collect data even during the winter months! Me too! As a northern hemispherian, I forget that there are other parts of the world that aren’t cold at this time of year where there are actually cool insect behaviors happening. It’s nice to be reminded of it! I have a question for you, do dragonflies eat/kill European wasps? I don’t think they do but the man of the house disturbed a wasps nest when mowing today. Minutes later, with dozens of wasps madly flying about and us watching from inside, a handful of dragonflies appeared, swooping around in the same spot. Were they attracted by the mowing (not noticed that before) or the crazy wasps? Hmmm… I’m not sure! I wouldn’t be surprised if they did though. Want me to look into the scientific literature and see if it has anything to say about it? I’d be happy to if you’re interested! I would love to know. Wasps are a real problem here, especially at this time of year. They even infest the supermarket carpark, picking all the tiny crushed insect bodies off the front of newly-parked cars. They can be quite dangerous when they are stirred up too, and despite my love of insects that nest has to go. I wasn’t sure if the dragonflies would eat the wasps or if they were attracted by grumpy wasp pheromones. Looks like dragonflies rather commonly eat wasps! So yay for the dragonflies in your area for helping you control a stinging insect you don’t want around. Dragonflies rock!